Today's keynote didn't feature any new hardware. Apple’s services business is about to kick things into overdrive in 2019. 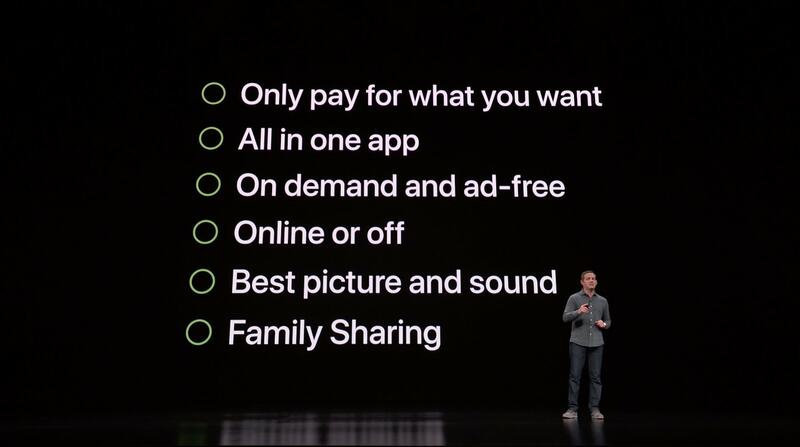 During the company’s “It’s show time” event at Apple Park this morning the company unveil a slew of new services that cover everything from news to credit cards. There was something for everyone to get excited about at today’s event that packed more celebrity power than any Apple event ever. 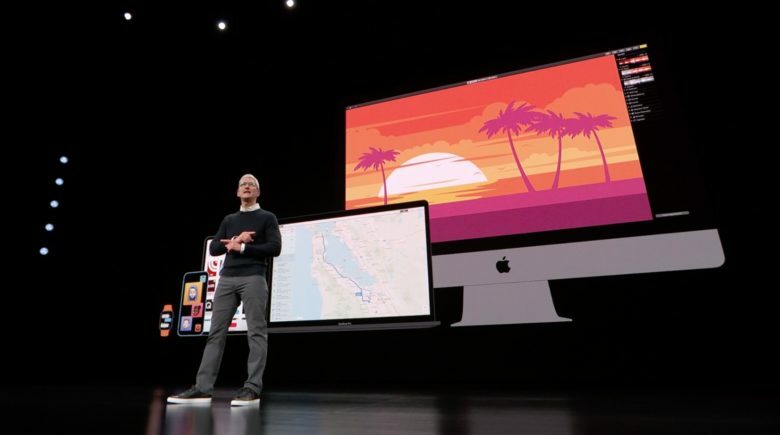 Tim Cook finally gave us a look at the original TV shows Apple has been brewing up for years, but there are still a lot of questions surrounding Apple’s new services. Everyone from Netflix to big banks were put on notice today with Apple’s new services lineup. Only one of the new services are launching today, but there’s still a lot to look forward too. Apple News boasts more than 300 magazines. The Apple News app is now the go-to destination for digital magazines. 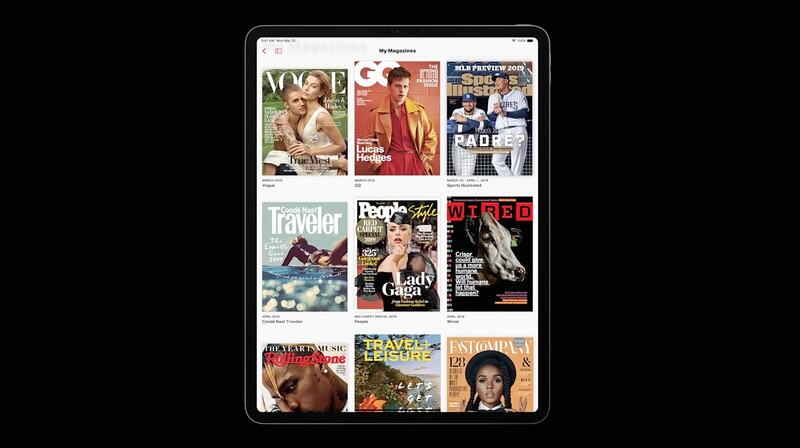 Over 300 magazines are offering their content through the new Apple News+ section. You can read an issue cover to cover or just select articles. The live covers feature looks amazingly beautiful too. Apple News+ also has a few premium digital news subscriptions in it like Vulture, The Cut, TechCrunch, the Los Angeles Times and the Wall Street Journal. It’s built on a platform of expert curation and personalization. Apple News+ costs $9.99 per month and you can use it with Family Sharing for no extra charge. Now the whole house can keep up with all the news and have personalized recommendations. It’s available today on iOS and macOS in the US and Canada. The first month is free. The UK and Australia will get Apple News+ later this year. Apple Card might be the most consumer-friendly credit card ever. Apple completely rethought the credit card to take advantage of all the iPhone’s power. You can sign up for it on your iPhone and use it in minutes at any store worldwide where Apple Pay is accepted. The Wallet app has been redesigned to give more information on what you’ve spent and where. There’s a rewards program called Daily Cash that gives you cash back every day. When you buy things using Apple Card you get daily cash added to your Apple Cash card that can then be used however you want. You get 2% back on all purchases made with Apple Pay, and 3% back when you buy Apple products. The card also makes it easier to stay on top of your finances. Apple Card doesn’t have any late fees, no annual fees, no international fees and no over-limit fees. It shows you how much you need to pay to stay financially healthy. Plus, it comes with low-interest rates. 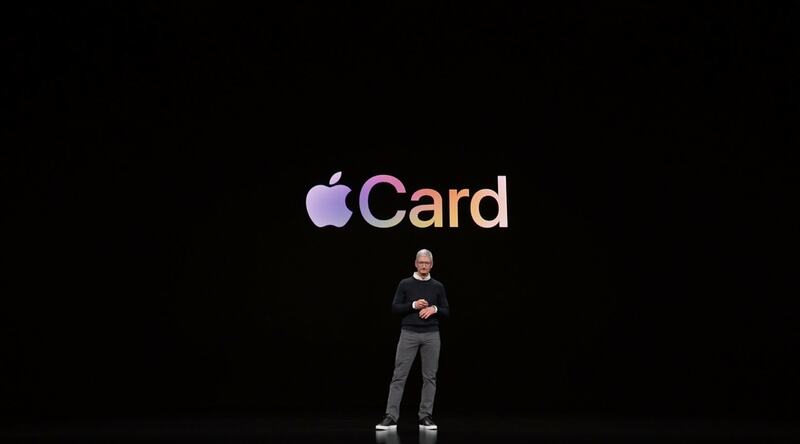 Apple Card is launching sometime this summer. 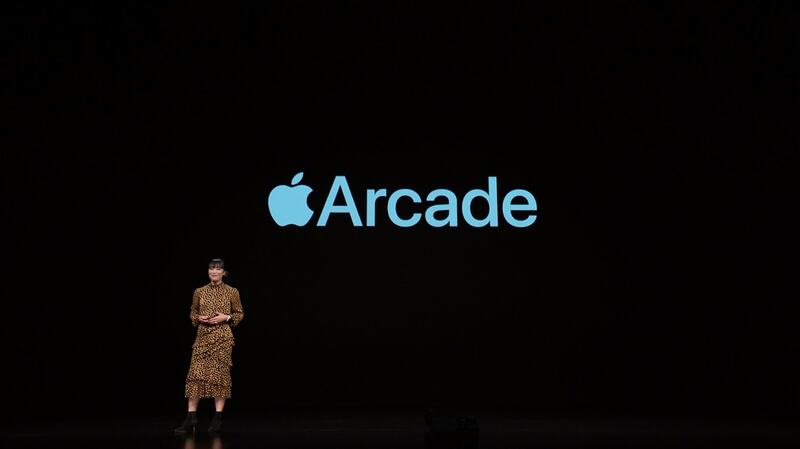 Apple Arcade could be a game-changer. Apple Arcade is the first game subscription service for desktop, mobile and living room. Apple is working with developers to curate some of the best games in the world. The idea is to make it easier for gamers to find great stuff to play while also making it easier for developers to pursue games that have unique gaming experiences. Subscribing to Apple Arcade gives you access to over 100 games. The arcade will live in the App Store app as its own section. You can play the games on iPhone, iPad, Mac and Apple TV. All games will be playable offline. No ads. No additional purchases needed. Pricing and launch date weren’t given other than we can expect it to launch sometime in the fall. The new Apple TV app pulls all your favorite content into one place. The Apple TV app has been completely redesigned. If you subscribe to a cable streaming service, you can now access all the network TV from the Apple TV app. Apple TV channels is a new option that lets you pay for what you want. You can access HBO, Showtime, Starz, Epix, and more. Other channels will be added overtime. Watch Now is the first tab you’ll see inside the new TV app. It’s where you’ll find the shows and movies you’re watching, so you can continue where you left off and easily access the next episodes. You can use Siri to find what you want to watch. Of course, there’s also a curated section highlighting the best movies and TV shows that you might be interested. The Apple TV app is also coming to smart TVs. Samsung, LG, Sony, Vizio and other manufacturers are going to add the app this year. Roku and Amazon Fire TV are also getting the app. Apple TV is coming to more than 100 countries this year. Apple TV+ packs a star-studded lineup of A-list talent. Great stories can change the world, so Apple is getting into storytelling via TV shows and movies. The company hired to former Sony executives to create its new Apple TV+ service that offers a slate of original TV shows. Oprah, Steven Spielberg, Jennifer Aniston, Reese Witherspoon, Steve Carell, Jason Momoa, Alfre Woodard, Kumail Nanjiani, Big Bird from Sesame Street, JJ Abrams and Sara Bareilles were all brought on stage to talk about the shows they’re working on with Apple. 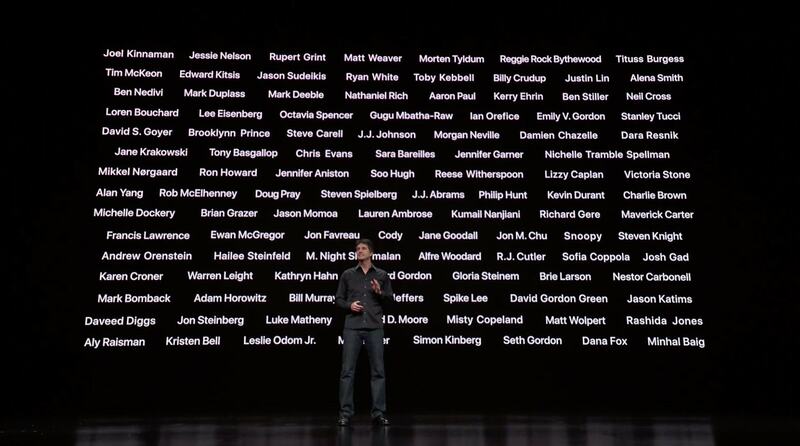 It was one of the oddest segments of the keynote because Apple didn’t release trailers for the shows, they just showed a little teaser for all of the shows together. Apple is teaming up with the Queen of TV, Oprah, to create the biggest book club in the world. Soon you’ll be able to go to an Apple store and watch Oprah interview authors of some of the best books on the planet. The goal is to leave the world more “enlightened, kinder and better” than we found it. She’s also working on two documentaries with Apple with more projects to follow. All of the shows and movies will live in the Apple TV app. It’s an ad-free subscription service and shows will be available online and offline. It’s launching this fall in 100 countries. Apple didn’t say how much it will cost per month though.